The GM ignition switch victims fund, under the direction of Kenneth Feinberg, opened for claims on August 1, 2014, and will remain open until 11:59pm on December 31, 2014, to settle with anyone harmed in a vehicle affected by the recall. In the first couple days of the fund’s existence, General Motors received around 40 claims, according to The Detroit News. 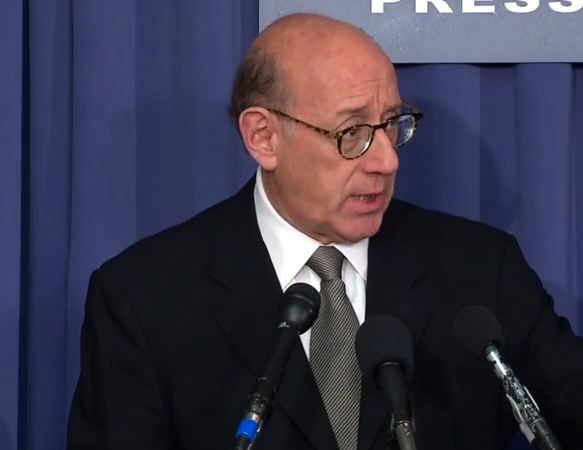 Kenneth Feinberg comments on the GM ignition switch victims fund. In total, 2.6 million vehicle owners are affected by the recall. Any drivers of those 2.6 million vehicles, their passengers, or the surviving families of anyone killed can file a claim, as well as pedestrians and drivers and passengers of other vehicles involved in an accident with any of the 2.6 million vehicles. Already, GM has set aside $400 million for the claims, but the company is prepared to spend more. There is no cap on this fund. Affected vehicles include the Chevy Cobalt and HHR, the Pontiac G5 and Solstice, and the Saturn Ion and Sky. As of Monday morning (8/4), the automaker had received 89 claims. As of Friday (8/8), the automaker had received 113 claims.